Corvalent, a 25+ year leader in designing and manufacturing of long-life, customized industrial computing solutions, today launched its family of end-to-end Connected Asset (CAT) Intelligence Solutions for embedded OEMs seeking to optimize equipment performance, enhance product reliability, and accelerate their leadership in digital transformation of highly regulated industrial computing environments. Corvalent’s CAT Industrial IoT (IIoT) solutions, while supported by technology leading industry partners, are the only single-vendor approach in the market today, where the end-to-end solution and products are fully developed, designed, implemented and supported by a single source. This single-partner approach greatly reduces both the cost and interoperability risk induced by a multi-partner implementation, ensuring OEMs are competitively positioned to save money, increase revenue, and exceed customer expectations for secure data handling and management in standards-based connected computing. Corvalent’s building block approach to IIoT includes sensors, edge hardware devices, device connectivity and integration platform, customized software applications and analytics, and market leading visualization and decision aides. CAT software applications are also extremely user friendly and agnostic to any type of data, hardware, protocol, or third-party application. As a result, OEMs are empowered to quickly implement connected solutions and capitalize on increased and new revenue streams, improve equipment performance and reliability, and optimize their monitoring and maintenance services. Another key advantage to the single-partner solution is Corvalent’s ability to implement technology-leading security controls and encryption throughout the entire architecture – from the sensor, to the edge/gateway, to the software platform and applications. OEMs are also armed with the ability to control whether data processing, analytics, and visualizations occur 100% at the edge for increased security and reduced data latency, or via a hybrid (edge and cloud) architecture. OEMs can further tap into the solution’s ability to interface with a wide spectrum of industrial protocols, benefitting from CAT’s integration with edge devices, gateways and sensors, 100% pre-tested and qualified for performance. OEMs without IoT capabilities have an application ready platform that speeds them to market, while those with vertical IoT solutions already implemented can access the power of the solution’s enterprise-level analytics and flexible visualizations. For example, OEMs are enabled to monitor a single machine, aggregate dashboards to monitor numerous machines, or monitor fleets of machines distributed across the enterprise. To learn more about Corvalent’s innovative Connected Asset (CAT) Intelligence Solutions for OEMs and receive a free consultation on how you can benefit from our market-disrupting digital solutions, click here or call Corvalent at 888-776-7896. 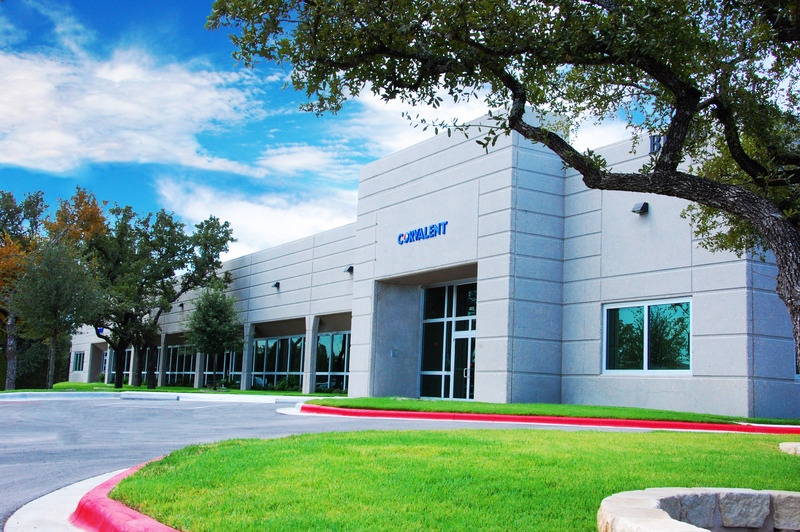 Texas-based Corvalent supports embedded developers and OEMs with rugged, customized, made-in-America industrial computing systems and products. Ensuring longevity by design since 1993, Corvalent offers smart, flexible solutions and products optimized for connected embedded markets and enabling reliable high performance computing on-premise, in the cloud, or via customized hybrid architectures. The company offers custom materials planning and advisory services; real-time engineering to address any technology or platform; modification of COTS or standards-based solutions for unique, mission critical applications; and elite, white glove technical support. For more information, call 888-776-7896, visit www.corvalent.com or email marketing@corvalent.com.